With so much awesomely grubby news of greed and dishonesty to cheer the year on its way, here is a little nugget of beauty to dwell on. A single dish in the right place can make a feast. This 16th-century Iznik plate, made between 1550 and 1560, is dazzling, but on its own... well Cornucopia readers will have seen many beautiful Iznik plates in their day. Displayed by the Courtauld in its delightful top-floor gallery in Somerset House, however, it is surrounded by Renaissance portraits, and you see it transformed into a spark that brings the Renaissance world to life. 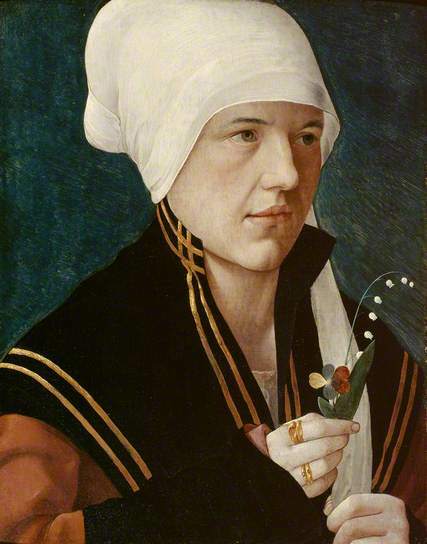 Among the paintings on the walls is the exquisite ‘Woman Holding a Lily of the Valley’ attributed to the Salzburg artist Marx Reichlich, dated to between 1510 and 1520. It is amazing how everyone, East and West, suddenly seems to be talking a common language. A collection of essays, presented by Laila El-Sayed, a PhD candidate in the School of English jointly at the University of Kent and the Freie Universität in Berlin, explains how ‘The floral motifs of the dish typify the Kara Memi floral style, named after the chief painter (fl.1545–66) of Süleyman the Magnificent's court. This floral style was an artistic move towards realism in depicting garden flowers. It is also often called the ‘Quatre Fleurs’ style because it used four principal flowers: the tulip, carnation, rose and hyacinth.’ They appear everywhere from Korans to ‘tobacco pouches, kaftans, imperial tents and decorative mattress coverings’ and were clearly rich in ‘spiritual, cultural and literary connotations’. Ditto Renaissance portraits. 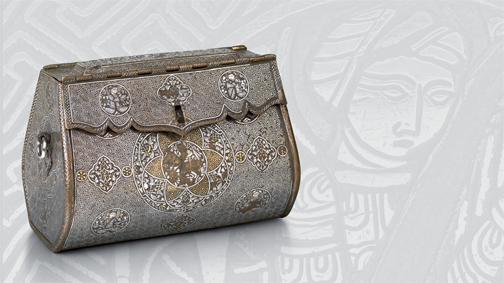 From February 20, the focus turns to a bag made in Northern Iraq around 1300, the like of which is apparently unknown. 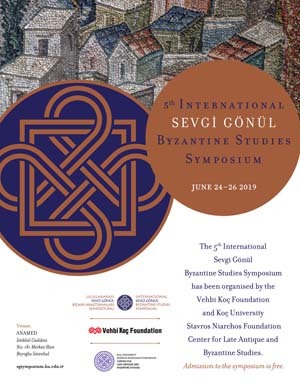 ‘The bag was made for a lady in the courtly circles of the Mongol Ilkhanid dynasty, established in west Asia by Genghis Khan’s grandson, Hulagu’, says the Courtauld. This exhibition considers this luxury craft tradition before and after the Mongol invasion. Court and Craft explores the origin and cultural context of this extraordinary object, alongside displays of illustrated manuscripts, ceramics and other luxury crafts.